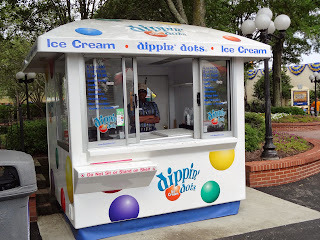 Join the dippin dots Dot Crazy Email & Rewards Club for special deals & promos, coupons, interactive games, latest news, birthday discounts and earn points towards awesome rewards. - Go here for dippin dots ice cream locations. - Join their dots club to earn points and free gifts. Print coupon and get a free small cup of ice cream during your birthday month. If you have a birthday in February, print coupon for a free small cup of Dippin' Dots. Valid at your nearest participating store or mall location.